Toler Town: bad, bad blogger! I have been such a bad bad blogger! No excuses, just a bad blogger! We worked on some installation at her husband's paper mill. 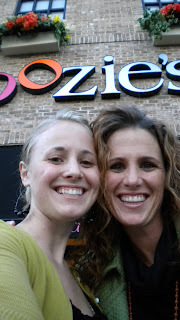 and of course Ash had to take me to SWOOZIES! I have heard all about it and was dying to go, it was a paper paradise...they had lots of stuff to personalize, invitations, bags, jewelry, gifts, and LOTS OF OTHER STUFF! It was great, I loved it! Im so lucky to have such an amazing sister, and I love her precious husband, Andy, and all their kiddo's , Annabel, Taylor, William, & Bennett! !